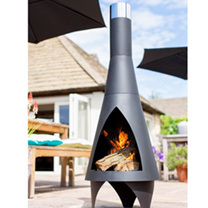 This stunning chimenea is great as a garden sculpture as well as a patio fire. 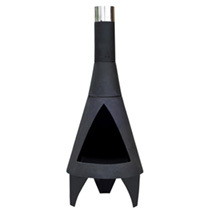 The Colorado chimenea’s clean lines and modern designs mean that this chimenea is not just a functional source of heater but also a stunning feature for any urban garden or contemporary outdoor space. 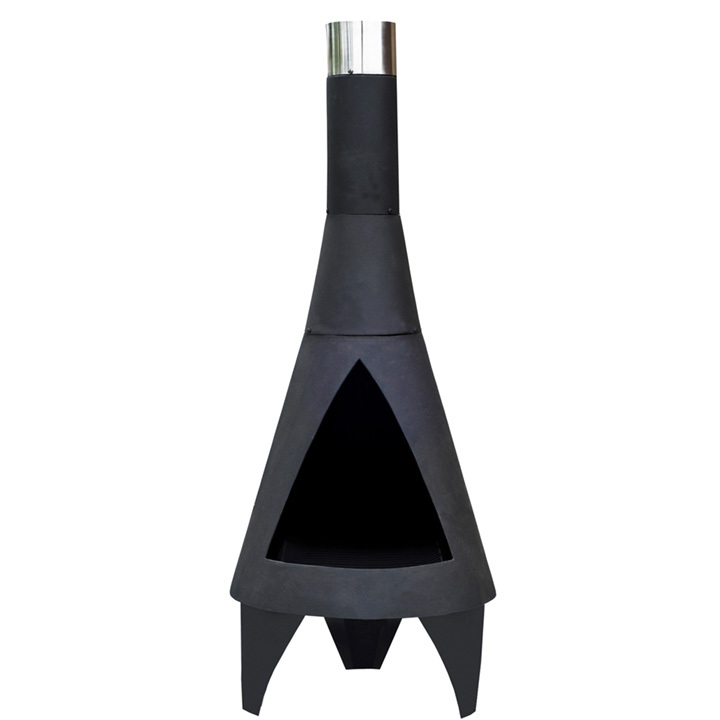 This chimenea is made with heavy gauge steel and finished with a contrasting stainless steel trim running around the top. The chimenea also has three simple legs raising it from the ground with a triangular fire opening which allows for larger logs to be placed inside. Light a log fire within the mouth of the chimenea, sit nearby and enjoy watching the flames flicker. The Colorado chimenea will enhance any outdoor space. Be the envy of family and friends with this chimenea that provides so much warmth but is also modern and stylish. The medium Colorado steel chimenea is the ideal product to add warmth where required in your large outdoor space at any time of the year. Buy this simply stunning chimenea now for all year round warmth and enjoy watching your garden shadows dancing as the sun goes down. Height 125cm; diameter 45cm.